​At The Mushroom Farm we believe in reducing our carbon footprint by utilizing the natural resources available to us and by implementing permaculture techniques. By doing this we are able to operate as a fully 'off the grid' lodge. ​want to learn more? check out our projects below! The Mushroom Farm is powered completely by the sun. We have 9 solar panels and 4 batteries that keep the music on, fridge working and all the lights & charging stations going. During the rainy season the beer might not be as freezing old, but we believe thats a small price to pay for clean electricity! Even though our natural spring supplies us with plenty of water, we also use grey water filter practices to not waste any water. We have a grease filter connected to our kitchen sink which collects the grease and solid waste, and a similar filter for the shower and laundry area. The remaining grey water is and then is filtered through our two sand and reed bed filters. After the water is filtered, it is completely safe to use to water our garden throughout the dry season. Compost toilets are a waterless way to produce organic, rich fertilizer to use on fruit trees, flowers and coffee plants. There are no septic tanks or wasted water. After one of the two chambered toilet is full, it is sealed. After 7 months the waste has transformed into an odorless fertilizer. The Mushroom Farm purchased the neighboring plot of land in 2015. 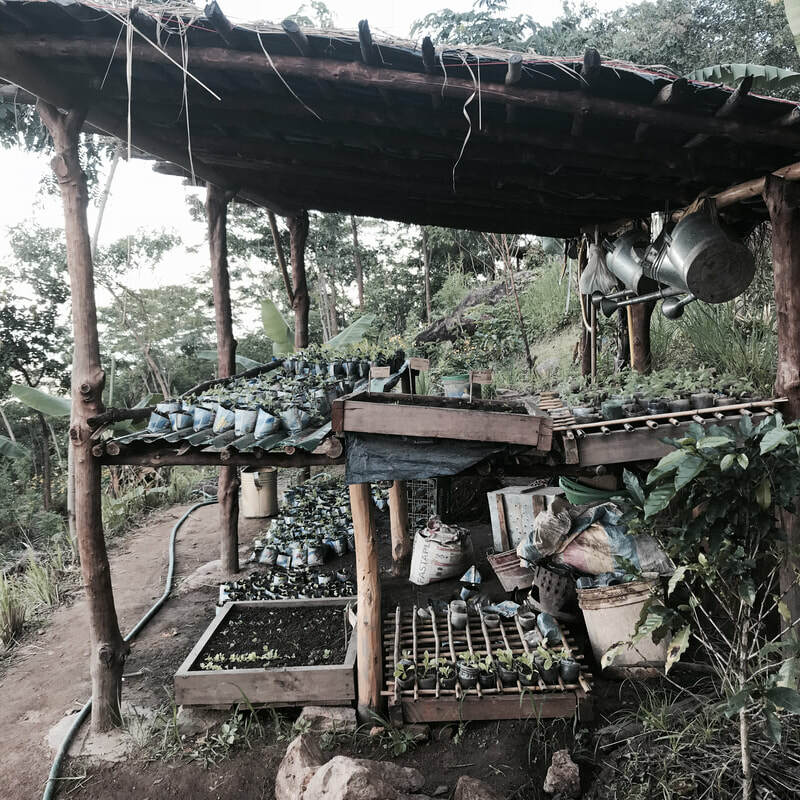 Since then, our amazing permaculture gardners (Alec, Cain, Yesha, and Able) have been transforming the clay soil into lush, organic gardens. 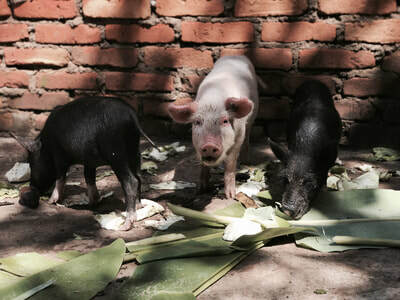 We have since created natural ponds, two seedling nurseries, composting areas, fruit orchards, and most recently-- a piggery (in which we feed three happy pigs all the restaurant scraps, and they produce nitrogen rich compost!). 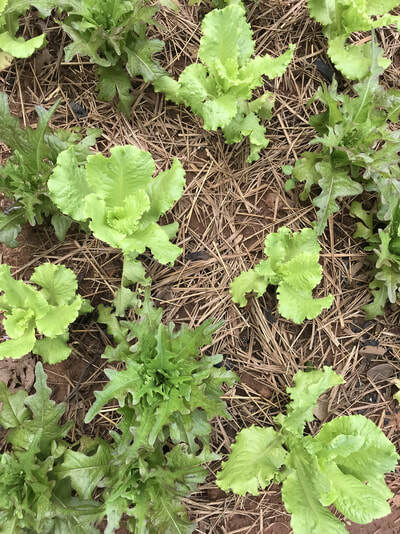 The Mushroom Farm Restaurant utilizes the fresh, organic veggies into all of our daily meals. A full, closed loop system!